A 3 Spears Production. Produced & Directed by Phil Avalon. Original Music: Brett Rosenberg. CD (ST) JSEM Music. JSEM0302. 2003. 01: Under The Hood. The Atlantics. 02: Bleach Baby. Beej featuring GTE. 03: Gotta Go. New School Hero. 04: Water Finds Its Own Level. Glenn Cardier. 05: Born To Ride (Do You See?). Claire Wyndham. 06: Bombora (Nylon Mix). The Atlantics. 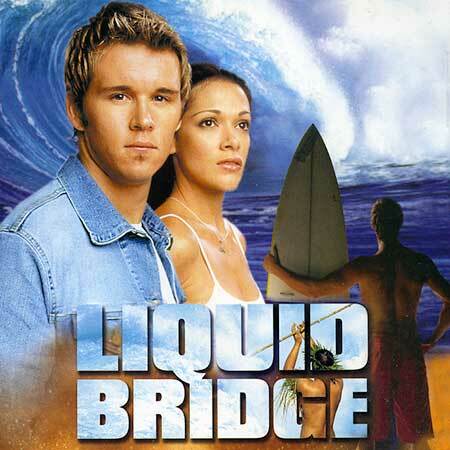 07: Liquid Bridge. Brett Hunt. 08: The Only One. Tim Carter. 10: Wait and See. Pacifier. 11: As One. Joe Creighton. 12: Liquid Bridge Theme. Brett Rosenberg.